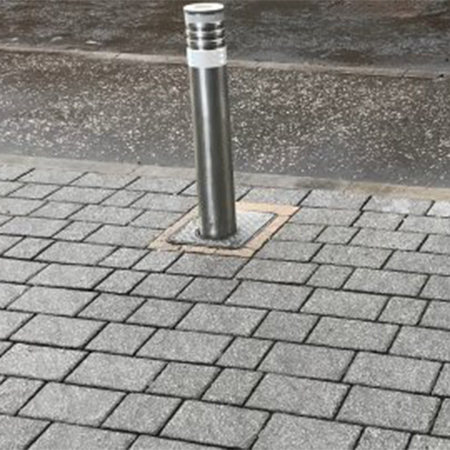 Macs Automated Bollard Systems have installed their residential bollards at a private apartment complex at the Botanics, Glasgow. The residential bollards were installed to improve safety, efficiency and vehicle control for the road link into the private residential car park. The bollard system consists of one bollard station, incorporating 2 x PASS 127/800 automatic rising bollards which are 127mm in diameter and 800mm height. A RFID control system reader allows and regulates authorised traffic access through the bollards from one direction, with a series of vehicle induction loops installed for added safety.